Wawasee homecoming queen candidates include, seated from left, Hannah Marie-Lamle, Reagan Atwood, Adriene Gill and Meghan Beer. Standing in back are king candidates Jake Cowan, Jairus Boyer and Eric Yankosky. 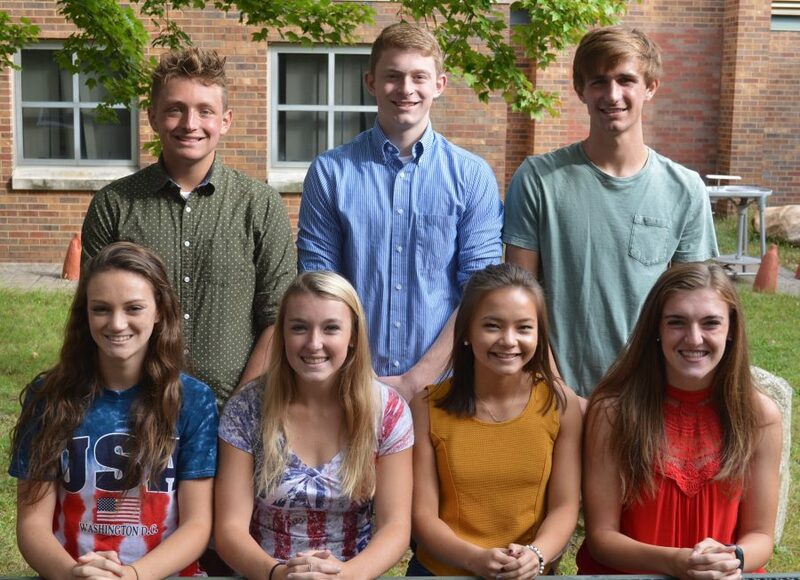 Not pictured is king candidate Hunter Hlutke. SYRACUSE — Fall officially begins this week and one of the sure signs of the season is homecoming week. Wawasee High School has activities planned throughout the week to celebrate its homecoming. Students will have spirit dress up days Monday through Friday. • Tuesday, Sept. 19, a talent show will be held at 7 p.m. in the high school auditorium. Admission is $2 and it is open to the public. • Wednesday, Sept. 20, is the Capture the Flag event at 6:30 p.m. in the high school annex gym involving students and staff. It is not open to the public. • Friday, Sept. 22, the homecoming parade begins at the Syracuse Community Center at 4 p.m. It will proceed down Main Street, cross the railroad tracks and follow Syracuse-Webster Road where it will then turn into the high school parking lot. It will go through the parking lot and end at the new Syracuse Elementary School on Kern Road. • Also Friday, Sept. 22, the public is welcome to visit the food trucks outside the football field from 5 to 7 p.m.
At 7 p.m. Friday, Sept. 22, is the kickoff for the homecoming football game against Plymouth. At halftime the homecoming king and queen will be crowned. After the game, DECA is hosting a dance for students. 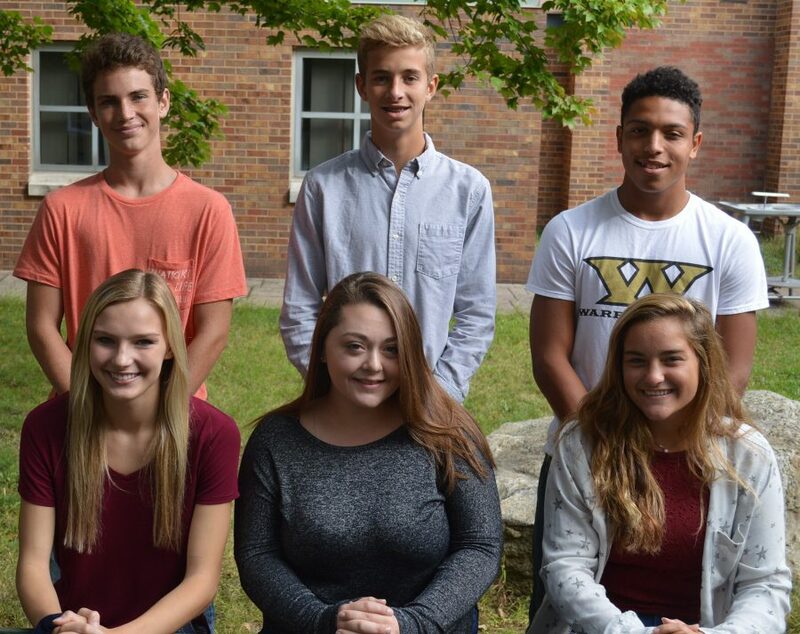 The Wawasee underclass court for homecoming, as voted on by students, includes, seated from left, Emma Ebright (freshman), McKenzie Coy (sophomore) and Olivia Birch (junior). Standing in back are Robert Schmucker (freshman), Evan Dippon (sophomore) and Keyan Peete (junior).